Abhinay Deo and Bhushan Kumar who have been neighbours for over 10 years have finally come together for Blackmail, starring Irrfan. Irrfan who is currently unwell apparently refused to push the release date of the movie even though the production house suggested it. 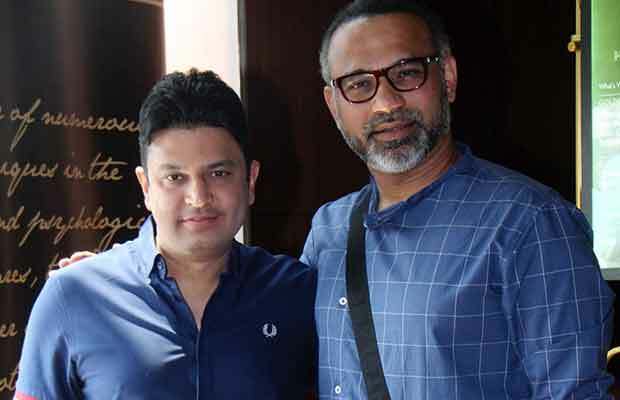 While talking about Blackmail’s release Bhushan Kumar shared, “We told him that we could push the movie’s release date till he’s better, but he was extremely reluctant and asked us to stick to the original date because he wanted the audience to enjoy his movie at the earliest”. Abhinay Deo who is back after Delhi Belly shared, “Quirky comedies are my favourite and what makes it fun for me is that often, reality is way stranger than fiction. Turning the bizarre things that happen in reality into movies is what I prefer”. He further adds, “The genre actually started off with Jaane Bhi Do Yaaro (1983), when Kundan Shah made this satire and then years later Dil Chahta Hai (2001) had some of the elements. But Delhi Belly opened the Pandora’s box for us. It was successful because although India believes in slapstick comedies, we showed a real comedy that they could relate to”. Blackmail featuring a power-packed ensemble cast of Irrfan, Kirti Kulhari, Divya Dutta, Arunoday Singh, Omi Vaidya, Anuja Sathe, Pradhuman Singh Mall, Gajraj Rao showcases Irrfan’s character resorting to blackmailing when he sees his wife in bed with her lover. ‘Blackmail’ is director Abhinay Deo’s second quirky comedy after the Aamir Khan Productions’ Delhi Belly. The filmmaker is back with yet another quirky, irreverent, situational, on the move comedy. Previous articleBaaghi 2 All Set To Upgrade The Level Of Action With All Possible Forms!